WASHINGTON — Average U.S. rates on 30-year and 15-year fixed mortgages this week fell to fresh record lows for the sixth straight week. Cheap mortgages continue to help boost prospects for home sales this year. Mortgage buyer Freddie Mac says the average rate on the 30-year loan dropped to 3.67 percent. That’s down sharply from 3.75 percent last week and the lowest since long-term mortgages began in the 1950s. The 15-year mortgage, a popular refinancing option, declined to 2.94 percent. That’s down from 2.97 percent last week. A Federal Reserve survey issued Wednesday showed the economy growing moderately in most regions of the country this spring as companies continued hiring. Manufacturing and home sales improved in most of the Fed’s 12 regional districts, as did residential and commercial construction. 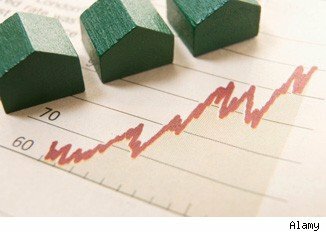 Mortgage applications rose by 1.3 percent during the week ended June 1, the Mortgage Bankers Association reported Wednesday, mainly because more people applied to refinance their homes. Applications to buy a home actually fell for the fourth straight week. A better job market also has made more people open to buying a home. But a dismal jobs report for May from the government last Friday fanned fears that the economy is sputtering. The Labor Department also said the economy created far fewer jobs in the previous two months than first thought. It revised those figures downward to show 49,000 fewer jobs created. The unemployment rate rose to 8.2 percent in May from 8.1 percent in April, the first increase in 11 months. The pace of home sales remains well below healthy levels. Economists say it could be years before the market is fully healed. Many people are having difficulty qualifying for home loans or can’t afford larger down payments required by banks. Some would-be home buyers are holding off because they fear that home prices could keep falling. Mortgage rates have been dropping because they tend to track the yield on the 10-year Treasury note, which fell last week to a 66-year low. Uncertainty about how Europe will resolve its debt crisis has led investors to buy more Treasury securities, which are considered safe investments. As demand for Treasurys increase, the yield falls. The average fee for 30-year loans was 0.7 point, down from 0.8 last week. The fee for 15-year loans also was unchanged at 0.7 point. The average rate on one-year adjustable rate mortgages rose to 2.79 percent from 2.75 percent last week. The fee for one-year adjustable rate loans was steady at 0.4.